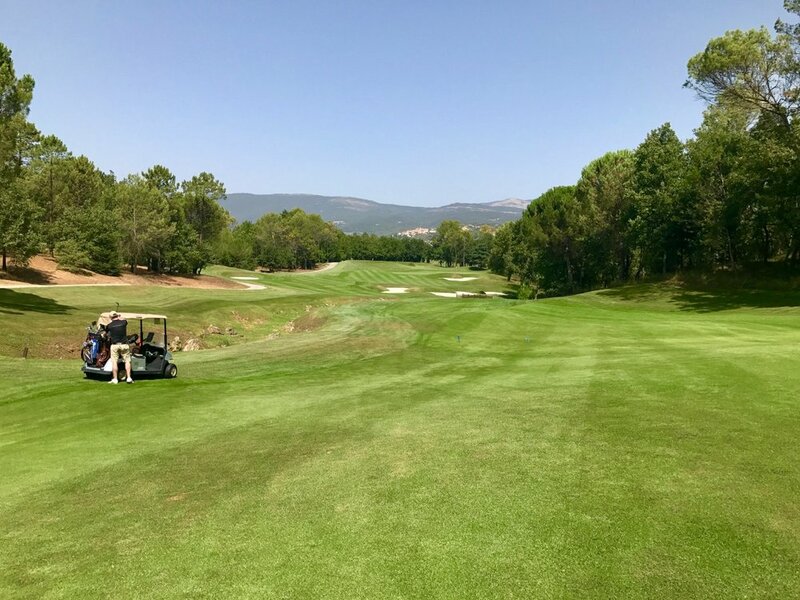 There can’t be much doubt that the Chateau course at Terre Blanche is the best course in the area by quite some distance. The course was designed by Dave Thomas and opened in 2000, originally under the guise of the Four Seasons company. It is only about an hour from Cannes but, as you drive up through the hills, through sleepy villages, you feel a lot further away from the hustle and bustle of the Cote d’Azur. This is no quaint golf course though. It’s built as the centrepiece of the Four Seasons resort and the whole place oozes quality, and money. The clubhouse and restaurants are functional rather than characterful, but the service is exemplary and always friendly. So to the golf. This is a great test of your game but it is not ridiculously punishing either. You won't have too much trouble scoring if you are hitting it well enough. It is long off the back tees (over 7,200 yards with a ‘slope’ of 150!) but from the yellow tees it doesn’t feel too long at 6680 yards. In part, that is because they have plenty of elevated tees, and the ground around here runs pretty fast for most of the year. Having said that, this is a course on which you need to really concentrate and experience definitely helps you pick some of the best lines off the tee. It helps to know where the trouble lurks. Creeks criss-cross several holes and there are some elevated greens that can really catch you out if you just choose to play the yardages on the card. The par 3 second hole is one which always seems to play longer than the number, the waterfall may have something to do with that! It’s hard to pick out a particular favourite hole but the 11th is probably the signature hole – a great par 5 where a good drive will leave you with a chance of getting to the green in 2, but with plenty of water and rocks to navigate first. If you have a close match going. the 18th can provide plenty of drama. A wall runs along the right hand side and it is a rare occasion when either my partner or I aren’t over the wrong side of it at some stage on the hole. All in all, I would say it is hard to come off Terre Blanche dissatisfied. Every time I have played the course it has been in fantastic condition and there are plenty of holes which will stick in your mind as you look back over the round with a very nice glass of white wine in the beautifully appointed clubhouse. Yep, life in Terre Blanche isn’t bad at all! This course is expensive. 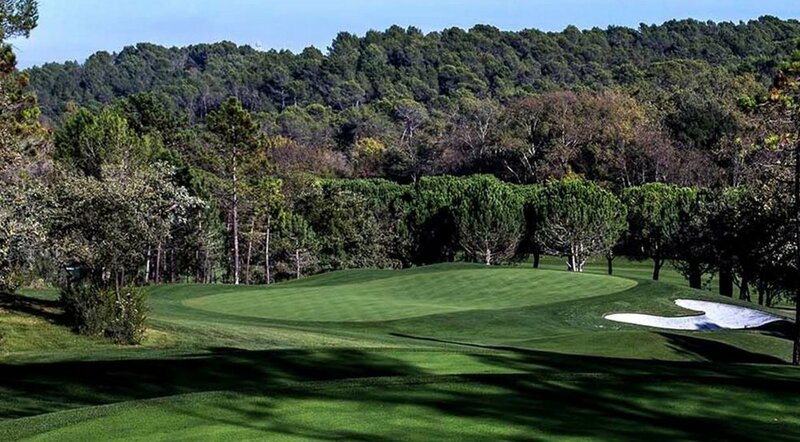 Although, to be fair, since I first visited Terre Blanche a couple of years after it opened, the green fee has barely gone up. It's around €100 in the winter, rising to €180 in the summer for non-residents. Discounts apply if you're staying on the property. In the summer months, taking a cart is compulsory, which really really rankles, especially as the course in eminently walkable. There is some good flexibility in the green fee structure though, with winter rates, shoulder rates, even ‘hot time of day rates’ in the summer and there are definitely places which ask higher green fees and provide lower quality. They say you can only book 14 days out, but I've never had problems booking further in advance with a nice email to the address below. 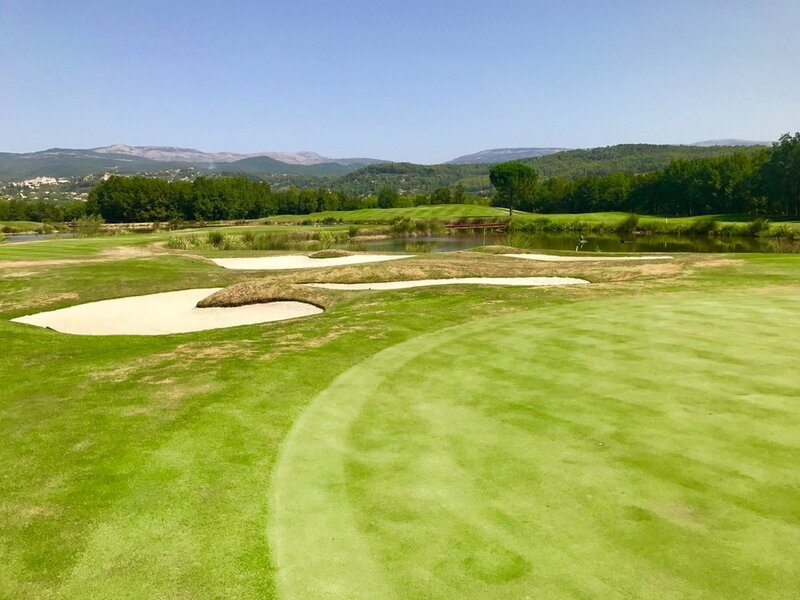 I think it is unlikely you would want to stay in Terre Blanche if you were on a traditional golf trip - although if you do you can play the second course which is only open to residents. 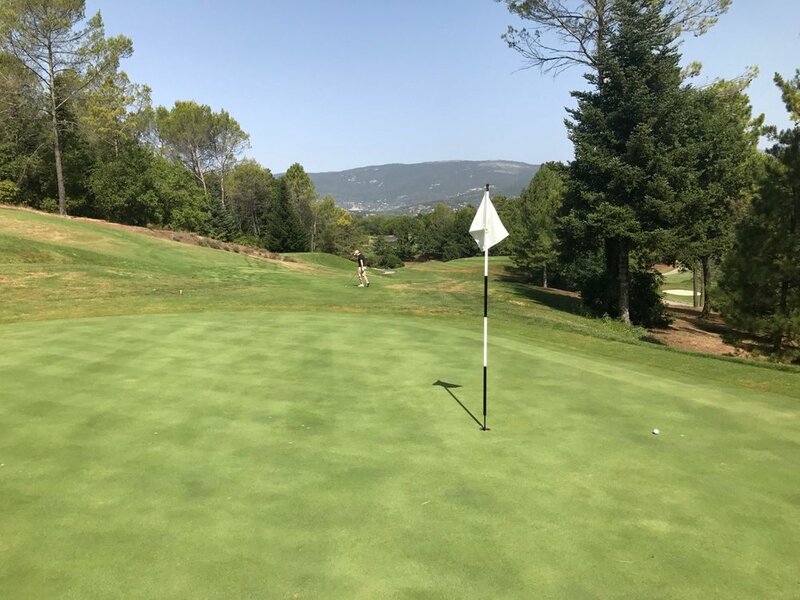 As a place to stay with a loved one it is great, but it is a little quiet and you are probably better basing yourself down in Nice or Cannes or somewhere on the Cote d’Azur before heading up for a round. If you were looking for a really top-drawer itinerary I would suggest adding in Taulane, Cannes Mougins and maybe Royal Mougins. 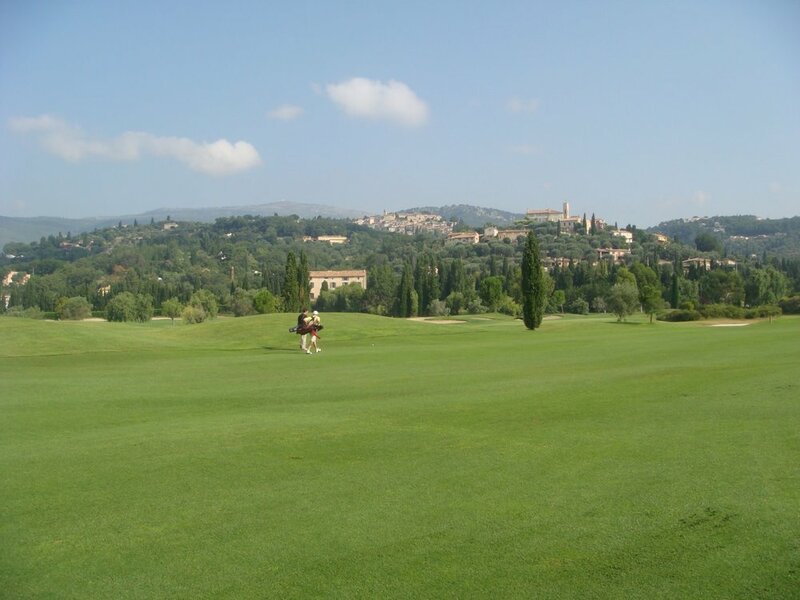 Terre Blanche would likely be the highlight though, so you may want to leave it to last! !